I have been a member of the WSU Faculty since 2011. My Extension responsibilities cover viticulture across the state, and include juice, processing, and wine grape production. 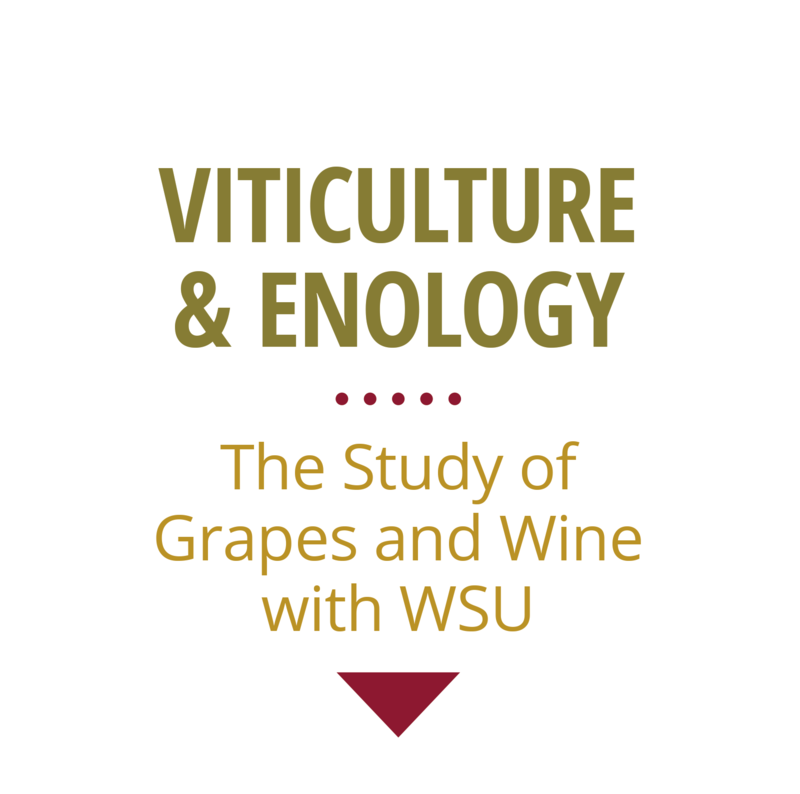 I work closely with other members of the Viticulture and Enology program to help transfer knowledge gained through WSU research (and beyond) to the hands of the Washington viticulture industry. This includes the development of workshops and educational programs, publishing the WSU Viticulture and Enology Extension News, and teaching three courses in the WSU-Extension Viticulture and Enology Certificate Program. As a general overview my program is looking at the applied science behind (i) vineyard site selection and establishment, (ii) grapevine canopy manipulation and management, and (iii) general viticulture practices on wine and juice grape production. These include validating existing and developing new site selection models and criteria for defining grape quality and ideal growing conditions, understanding how canopy manipulation and management strategies influence grapevine growth and development, and optimizing the timing and type of viticulture cultural techniques for combined impacts on disease management and grape quality. FRAME: Fungicide Resistance Assessment, Mitigation, and Extension Network for Wine, Table, and Raisin Grapes – A USDA-SCRI-CAP project active from 2018-2022. My program is located at the Washington State University Irrigated Agriculture Research and Extension Center in Prosser, WA. WSU-IAREC is approximately 3 hours south of WSU-Pullman, and 35 minutes west of WSU-TriCities. Dennis Devitt (Ph.D. 2019-2025): Project TBD. Dennis is currently a viticulturist at Wilbur-Ellis working on his Ph.D. part-time. Lexie McDaniel (Ph.D. 2019-x2023): Alternative sprayer systems for Washington Vineyards. Margaret McCoy (Ph.D. 2016-x2021): Evaluating Pesticide Deposition and Influence on Fungicide Efficacy / Developing Best Practices and Education for Vineyards. Katherine East (Ph.D. 2015-x2019): Nematode Management Strategies for Washington Vineyards. 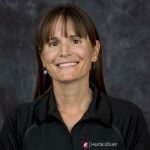 Dr. Charlotte Oliver, Project Manager (2019-current): FRAME Network, focusing on project administration, applied fungicide research, and grower outreach. Maria Mireles, Research Technician (2018-current): Lab coordination, and focusing on research in fungicide resistance (FRAME Network,), crown gall, and general vineyard IPM. Jensena Newhouse, Research Technician (2012-2018): Focusing on research in pesticide efficacy, nematode extractions, and fruit analyses. Ashley Boren, Research Intern (2016-2017): Focusing on vineyard cultural practices and nematode management. Zasada, I.A., A.D. Howland, A.B. Peetz, K. East, and M. Moyer. 2019. Vitis spp. Rootstocks are Poor Hosts for Meloidogyne hapla, an Nematode Commonly Found in Washington Winegrape Vineyards. Am. J. Enol. Vitic. 70: 1-8. Moyer, M.M. J. King, and G. Moulton. 2018. Evaluation of Rootstocks on Harvest Metrics of ‘Pinot Noir clone 02A’ Wine Grapes in Maritime Western Washington. HortTechnology 28:830-835. Badr, G., G. Hoogenboom, M. Abouali, M. Moyer, and M. Keller. 2018. Analysis of Several Bioclimatic Indices for Viticultural Zoning in the Pacific Northwest. Climate Research 76:203-223. Moyer, M.M., J.M. Newhouse, and G.G. Grove. 2018. Adjusting Product Timing during the Powdery Mildew “Critical Window” to Improve Disease Management. Catalyst: Discovery into Practice: 2: 7-14. Badr, G., G. Hoogenboom, M. Moyer, M. Keller, R. Rupp, and J. Davenport. 2018. Spatial Suitability Assessment for Vineyard Site Selection Based on Fuzzy Logic. Precision Agriculture 19:1027-1048. Gale, E.J. and M.M. Moyer. 2017. Cold Hardiness of Vitis vinifera Roots. Am. J. Enol. Vitic. 68: 468-477. Moyer, M.M., A.N. Boren, and J.M. Tarara. 2017. Dual Fumigant and Herbicide Use Optimizes Replanting Preparation in a Virus and Nematode-Affected Vineyard. Catalyst: Discovery into Practice: 2: 55-61. Ricketts, K.D., M.I. Gomez, M.F. Fuchs, T.E. Martinson, R.H. Smith, M.L. Cooper, M.M. Moyer and A. Wise. 2017. Estimating the Economic Impact of Grapevine Red Blotch Disease in California, New York and Washington, and Developing Optimal Management Strategies. Am. J. Enol. Vitic. 68:127-135. Moyer, M.M., J.M. Newhouse, and G.G. Grove. 2016. Efficacy of Biopesticides and Leaf Removal in Grapevine Powdery Mildew Management. Online. Plant Health Progress. 17:84-91. Moyer, M.M., D.M. Gadoury, W.F. Wilcox, and R.C. Seem. 2016. Weather During Critical Epidemiological Periods and Subsequent Severity of Powdery Mildew on Grape Berries. Plant Disease 100:116-124. Komm, B.L. and M.M. Moyer. 2015. Effect of Early Fruit-zone Leaf Removal on Canopy Development and Fruit Quality in Riesling and Sauvignon blanc. Am. J. of Enol. Vitic. 66:424-434. Gohil, H. and M.M. Moyer. 2014. Evaluation of In-Season Applied Heat to Vitis vinifera ‘Merlot’ and ‘Syrah’ in Eastern Washington. HortTechnology 24: 736-742. Yau, I-H., J.R. Davenport, M.M. Moyer. 2014. Developing a wine grape site evaluation decision support system for the inland Pacific Northwest. HortTechnology 24: 88-98. Ferguson, J., M.M. Moyer, L.J. Mills, G. Hoogenboom, and M. Keller. 2014. Modeling dormant bud cold hardiness and budbreak in 23 Vitis genotypes reveals variation by region of origin. Am. J. of Enol. Vit. 65: 59-71. Moyer, M.M., D.M. Gadoury, L. Cadle-Davidson, I.B. Dry, P. Magarey, W.F. Wilcox, and R.C. Seem. 2010. Effects of acute low temperature events on development of Erysiphe necator and susceptibility of Vitis vinifera. Phytopathology 100:1240-1249. Moyer, M.M., D.M. Gadoury, W.F. Wilcox, and R.C. Seem. May 2010. Development of an advisory system for grapevine powdery mildew in eastern North America: A reassessment of epidemic progress. Online. Plant Health Progress. Hoheisel, G.A. and M.M. Moyer. (eds). Pest Management Guide for Grapes in Washington. (Updated Annually). WSU Extension Publication #EB0762. Washington State University. Moyer, M.M., and C. Cooper. 2017. Wholesale Buyers Guide to Washington Grapevine Quarantines. WSU Extension Publishing #FS286e. Pullman, WA, USA. Moyer, M.M. and G.A. Hoheisel. (eds). 2016. Vine to Wine (Video Series). WSU Extension Publication #OM41. Washington State University. Gohil, H., M. Keller and M.M. Moyer. 2016. On-Farm Vineyard Trials: A Grower’s Guide. WSU Extension Publication #EM098e. Washington State University. Hoheisel, G.A. and M.M. Moyer. 2015. Grapevine Management Under Drought Conditions. WSU Extension Publication #EM4831e. Washington State University. Komm, B.L., and M.M. Moyer. 2015. Vineyard Yield Estimation. WSU Extension Publication #EM086e. Washington State University. Also en Español. Moyer, M.M., S. O’Neal, J. Davenport, and D. Walsh. 2014. Washington State Juice Grape Sustainability Report Card. WSU Extension Publication #EM085. Washington State University. Moyer, M.M, and S. O’Neal. (eds). 2014. Field Guide for Integrated Pest Management in Pacific Northwest Vineyards: Pocket Version (Spanish-English). Pacific Northwest Extension Publication #PNW654. Washington State University. Moyer, M.M., G. Moulton, and T. Henick-Kling. 2014. Growing Winegrapes in Maritime Western Washington. WSU Extension Publication #EM068e. Washington State University. Moyer, M.M., and S. O’Neal. (eds). 2013. Field Guide for Integrated Pest Management in Pacific Northwest Vineyards. Pacific Northwest Extension Publication #PNW644. Washington State University. Moyer, M.M., R.T. Peters, and R. Hamman. 2013. Irrigation Basics for Eastern Washington Vineyards. WSU Extension Publication #EM061e. Washington State University. Also en Español. Moyer, M.M., and G.G. Grove. 2012. Powdery Mildew in Eastern Washington Commercial Grape Production: Biology and Disease Management. WSU Extension Publication #EM058e. Washington State University. Also en Español. Moyer, M.M., and G.G. Grove. 2012. Powdery Mildew in Western Washington Commercial Grape Production: Biology and Disease Management. WSU Extension Publication #EM059e. Washington State University. Moyer, M.M., C. Kaiser, J. Davenport, and P.A. Skinkis. 2012. Considerations and Resources for Vineyard Establishment in the Inland Pacific Northwest. PNW Extension Publication #PNW634. Washington State University. Moyer, M.M., and G.G. Grove. 2011. Botrytis Bunch Rot in Commercial Washington Grape Production: Biology and Disease Management. WSU Extension Publication #FS046e. Washington State University. Also en Español. Moyer, M.M., L.M. Mills, G.A. Hoheisel, and M. Keller. 2011. Assessing and Managing Cold Damage in Washington Vineyards. WSU ExtensionPublication #EM042e. Washington State University. Also en Español. Moyer, M.M., (ed). Viticulture and Enology Extension News. WSU V&E Extension Bi-annual Newsletter. Gadoury, D.M., Seem, R.C., Moyer, M.M. 2012. Climate, Duration of Bloom, and the Window of Risk for Grapevine Diseases. Appellation Cornell. Cornell Cooperative Extension. Moyer, M.M,. Gadoury, D.M., and Seem, R.C. 2011. Variable Eastern Weather Influences Powdery Mildew Severity. Appellation Cornell. Cornell Cooperative Extension. Moyer, M.M., and W.F. Mahaffee (eds). 2017. Proceedings of the 8th International Workshop on Grapevine Downy and Powdery Mildew. Jul 17-19, 2017. Corvallis, OR, USA. Moyer, M.M., and S. O’Neal. 2014. Pest Management Strategic Plan for Washington State Wine Grape Production. Western Region IPM Center, USDA-NIFA. Moyer, M.M., N. Rayapati, and R. Steigmeyer. 2014. Field Guide to Clean Plants & Quarantines for Grapes in Washington State. Washington Wine Industry Foundation. Funded by: Washington State Department of Agriculture Specialty Crop Block Grant Program. Hansen, M, and M. Moyer. 2019. Basic Training for Combating Mildew. Wine Business Monthly. March 2019: 84 – 91. Ask your grape questions here!